The advantage of being an artist is we can do things impossible in nature. Making a cube of cinder blocks float weightlessly, for example. My goal was to portray tranquility, using my cinder blocks, of course. Depicting tranquility with cement proved challenging. 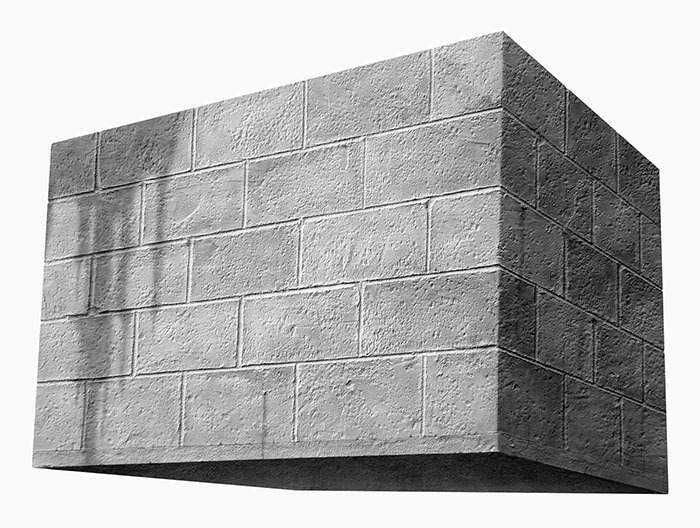 But what if a huge cube of concrete blocks floated effortlessly on a wall? An artist's perogative. 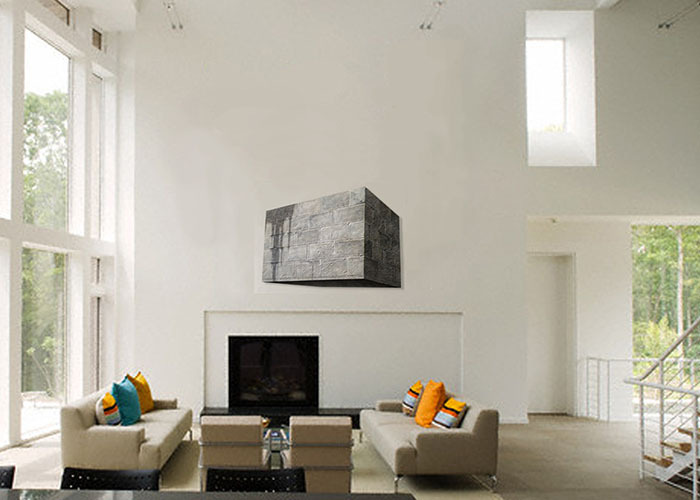 How would it look floating on YOUR wall? Thank you for visiting my website. Make another cup of coffee, treat yourself to a snack, and look at more of my artwork. Please bookmark and return often. Much love.